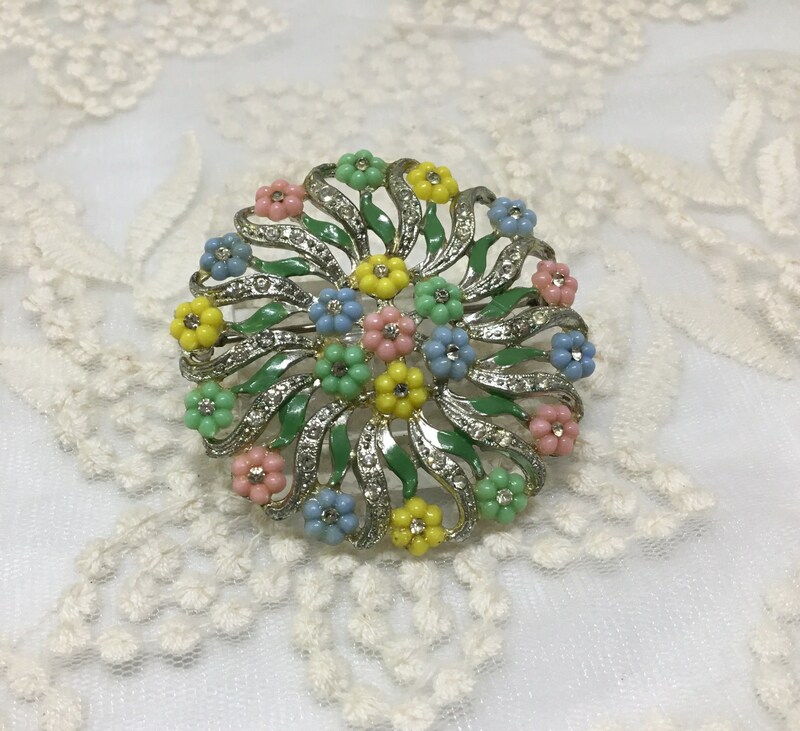 This is a round 1940s vintage unsigned pot metal flower brooch. 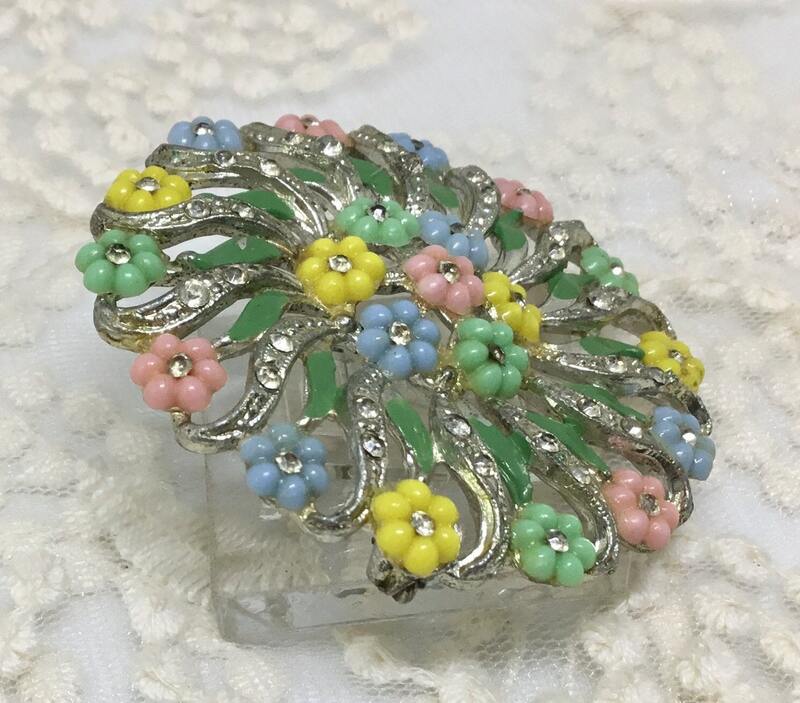 The brooch has early molded plastic flowers in pastel shades of pink, green, blue, and yellow colors. 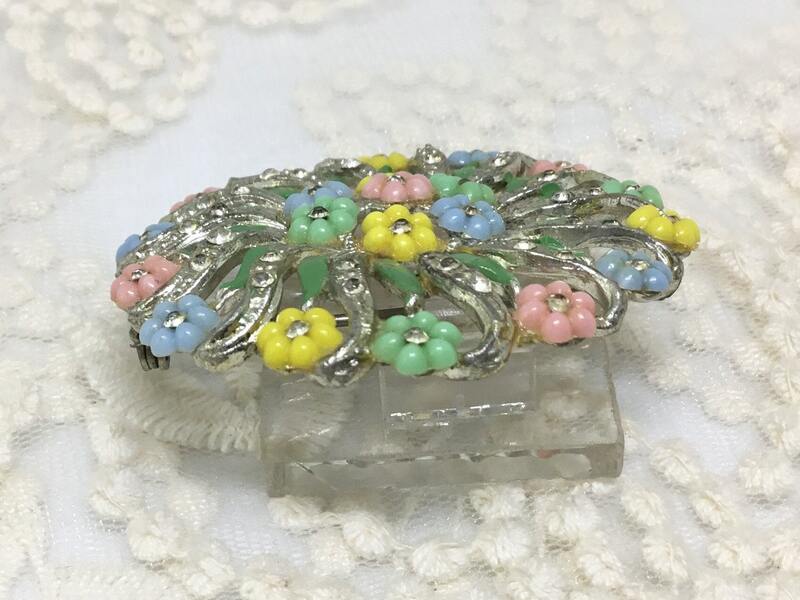 Each flower has a clear paste set rhinestone center. 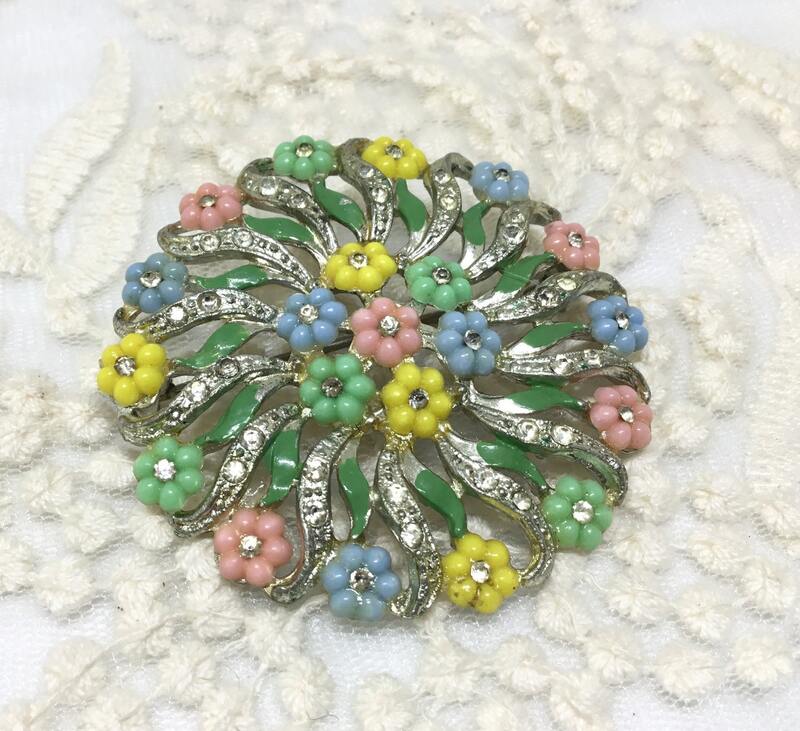 The leaves are green enamel. 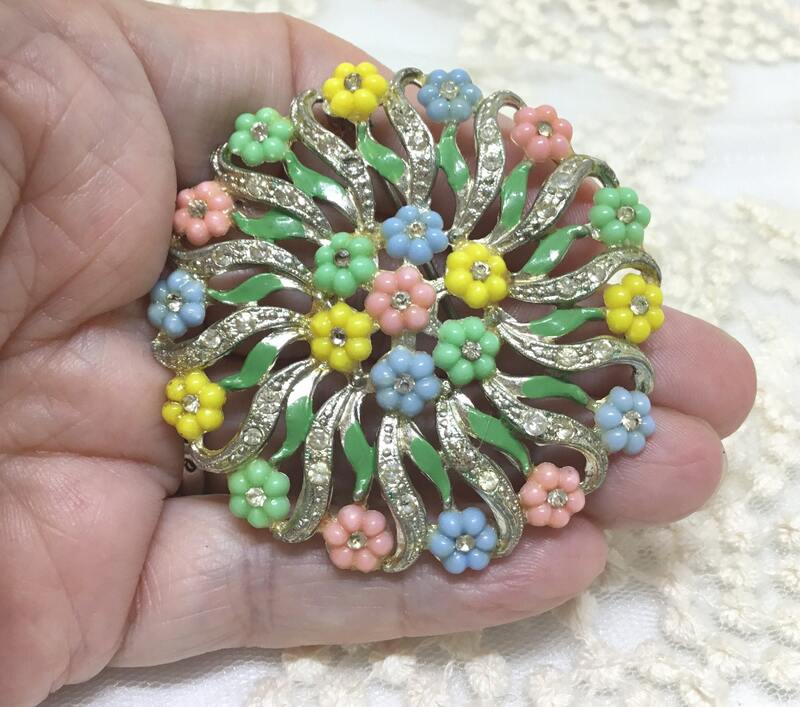 The center is a flower made up of seven smaller flowers. 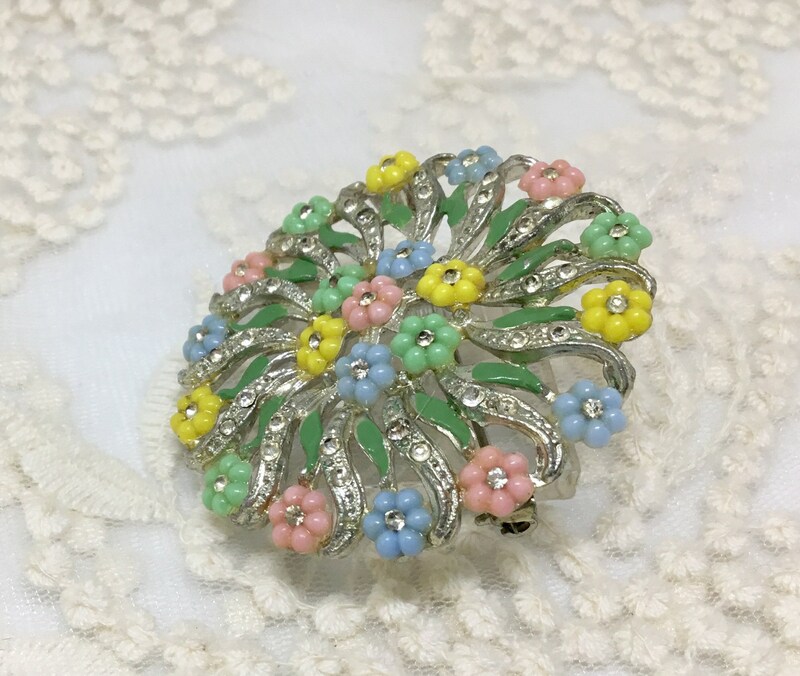 Leaves clear rhinestone flourishes come out from the center and ends on the outer circle in a small flower. 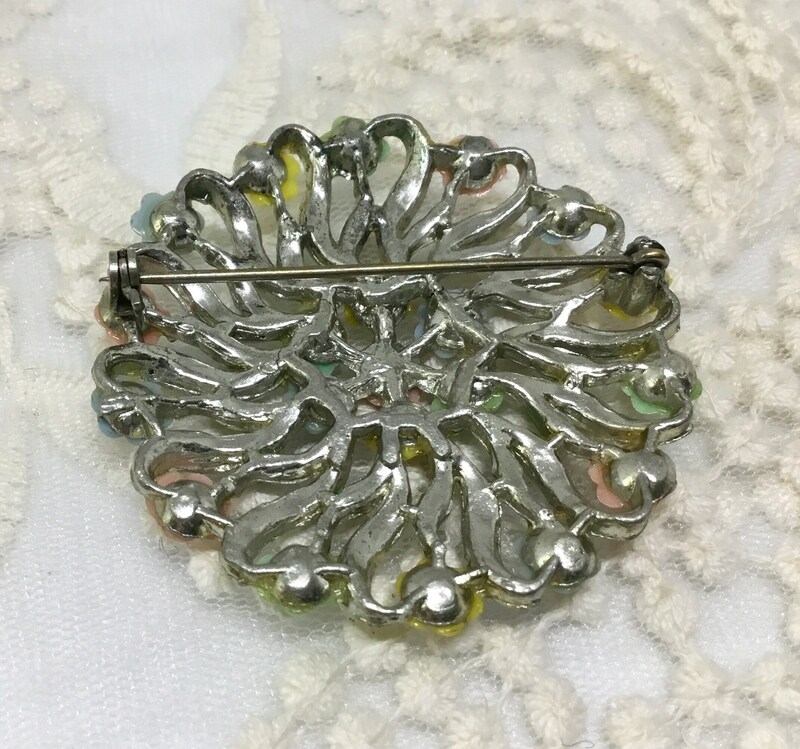 It measures 2” in diameter and the pin back is straight and works smoothly and securely. 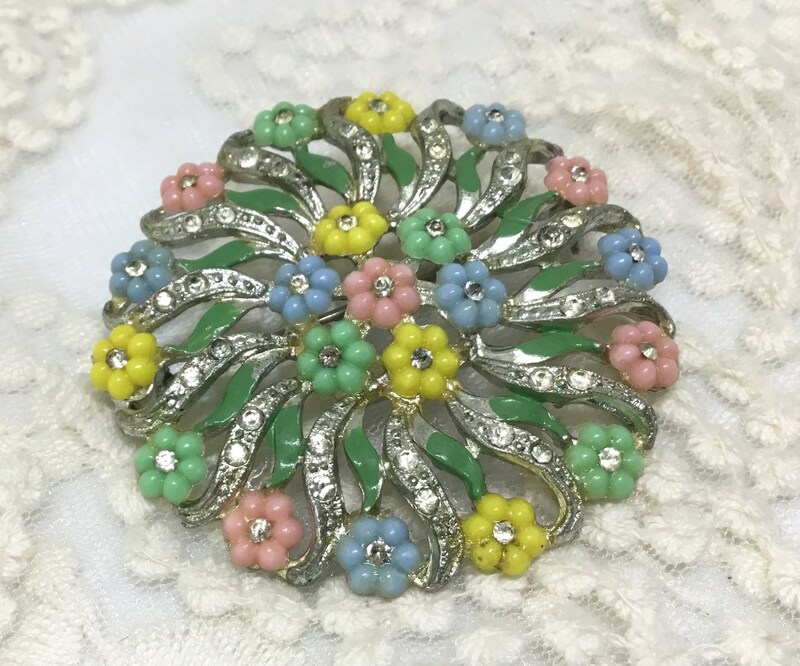 This is a wonderful early 1940s brooch and would be a great addition to any collection!